Yunnan-style tomato salad – GoKunming. Today I prepared many dishes for my party tomorrow evening, and made one of my favourites, a foolproof version of Mexican Rice Salad, which I got from my dear friend Leslie’s running club. 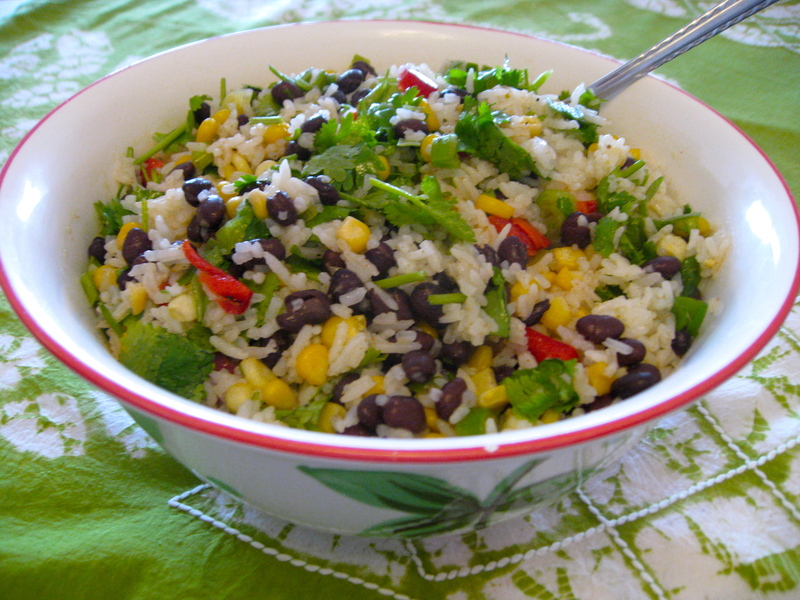 It’s a beautiful blend of rice, corn, red pepper and black beans, with the flavouring coming from green onion, garlic, cilantro and lime juice. My Chinese guests will love this dish containing their favourite ingredients. Can’t wait for the party, when the dish will have ‘marinated’ with the wonderful flavourings! Mix all of the ingredients together and refrigerate for two hours or overnight.